Whether you are constructing a new property or installing a new central air system in your home, one of the most important aspects of the project will be to design and install air ducts. In order to provide each room with adequate comfort, your air ducts must operate efficiently. At Steele Mechanical, LLC Air Conditioning and Heating, our HVAC contractors specialize in duct fabrication and design in New Jersey. Our heating and air conditioning contractors are some of the most experienced and skilled professionals in the home comfort industry. We have been working our hardest to achieve each of our customer's comfort goals for years. 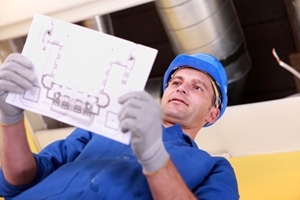 With our assistance, you can design and install the best HVAC system and ductwork in New Jersey for your property. 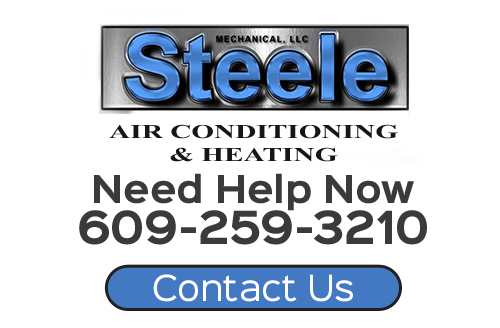 If you are conducting major work on a central air system and need the assistance of a professional air conditioning company who specializes in duct fabrication and design, call Steele Mechanical, LLC Air Conditioning and Heating today. Our courteous and polite staff would be happy to assist you in any way that we can. We can answer all of your questions and schedule your appointment today. From completely new ductwork designs to duct installation and repairs, we're the company locals know they can trust for quality results. In order for your air conditioner and heater to operate efficiently, you must have a customized air duct system for your home. Our professional are here to ensure that your system is customized to your property completely. We have the capability of fabricating your air ducts specifically for the unique layout of your home. As such, you can feel confident knowing that your HVAC system will provide for all your needs in the best possible fashion. When you decide to make a major renovation to your HVAC system, call Steele Mechanical, LLC Air Conditioning and Heating for assistance. Our professionals can provide you with the advice and information that you need in order to make the best possible design decisions. With our help, you will have an air duct system that will be able to provide for all your needs in the best possible manner. Your air ducts will operate efficiently, effectively, and reliably. The benefits of our services will be long lasting and rewarding. Every room in your home will have a reliable source of comfort. Our New Jersey heating contractors will always be ready to assist you with any of your future duct work related needs. We will work our hardest to achieve your complete and total satisfaction. If you would like an estimate for duct fabrication and design in New Jersey, please call 609-259-3210 or complete our online request form.